This week another classic painting joins “The Scream” on the recently sold for millions of dollars list. 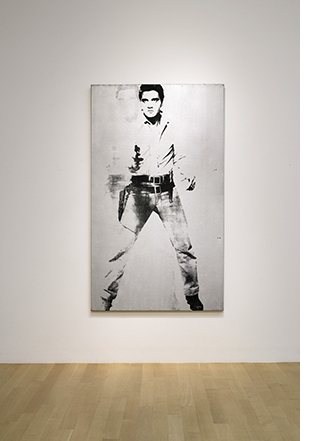 Andy Warhol’s “Double Elvis (Ferus Type)” has sold for a staggering $37 million in New York. The exact sale price was $33 million with other commission fees totaling it to an amazing $37,042,500. Surprisingly, it was actually predicted it would sell for as much as $50 million. There are 22 known versions of the painting dubbed “Double Elvis.” Nine are in museums today. The one that was just sold first saw daylight in 1963 in the Los Angeles Ferus Gallery. Warhol was known for using celebrities in his pieces and Elvis was one of the most used ones. Granted, the “Double Elvis” did not fetch the record breaking total of $119 million that Edvard Munch’s “The Scream” did, but $37 million is not something to look down on. With Warhol’s passing in 1987, the value of his pieces would only go up. It is expected that the further removed we are from the date of original creation, the more valuable all of his pieces, including the recently sold “Double Elvis” will be.